It can be overwhelming to try to turn 1,000+ DNA Cousins into genealogical discoveries. While there are many ways you can go about it, the best path is often the simplest. We have outlined three levels of next steps, Begin, Build, and Explore. Wherever you are at in your genetic genealogy experience, follow these steps to get closer to making those family history discoveries. Let's face it: genetic genealogy needs GENEALOGY to be successful. The number one thing I hear is that you don't feel like you will be helpful as you don't know very much about your own family history. Let me reassure you: whatever you know is helpful. So let's get started. You have yourself some amazing DNA test results so you don't want to keep them to yourself. You can share your AncestryDNA results with anyone who has an AncestryDNA account. This will also help you better manage any results you have for your family members. Are you, or one of your relatives, adopted? You might be able to identify biological family through DNA testing. Here are a few tips to get you started. All DNA testing companies provide you with ethnicity results. Ethnicity results give you estimated percentages of where your ancestors may have come from. Mitochondrial DNA - mtDNA is a very unique piece of DNA. It is a circle of DNA that is not found in the center of the cell with the 46 chromosomes. YDNA stands for Y chromosome DNA. The YDNA is what makes a man, a man. The YDNA then, can help you trance a direct male line. Centi-WHAT?! Centimorgan. It is a unit of measure for DNA. We can use these fantastic little numbers to better define our relationships with others. The Shared Centimorgan project was headed up by fellow genetic genealogist, Blaine Bettinger, and lots of details are on his blog. I use this table every day in my genetic genealogy efforts. One of the best things you can do to maximize your genetic genealogy dollar is to transfer your results from one company to another. The very best currently is to test first with AncestryDNA, then transfer (for FREE!) into Family Tree DNA and MyHeritage. For a full tutorial on how this is done, click below. If you have been doing this genetic genealogy thing for any amount of time, you know that you need to keep track of the people you have found. One way I keep track of people I know are related to me, or to each other, is using an excel spreadsheet. I go over how to use this in my Organizing Your DNA Matches Quick Sheet, if you are looking for a bit of guidance. The Leeds Method is a simple and colorful way to organize your DNA matches using color coded clusters. 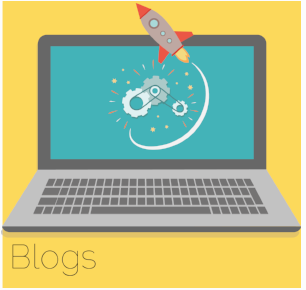 There are a few blogs we follow whose authors we respect as other esteemed members of the genetic genealogy community. For those who are a little more advanced, or those who just want to make a pretty picture out of their DNA, try Chromosome Mapping! Your XDNA is tested as part of your autosomal DNA test, but not every company is using or reporting the results. Gedmatch is not as necessary as many people make it out to be. You really don't need Gedmatch to do good genetic genealogy work. But, it can be a great place to collaborate with others who have been tested at other companies and gain access to more genetic tools to try to figure out how you are related to others. 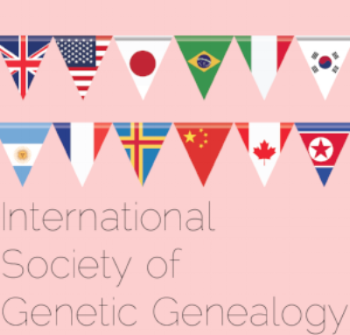 International Society of Genetic Genealogy is a great resource for you guessed it, all things related to genetic genealogy! They have additional resources for all stages of learning.